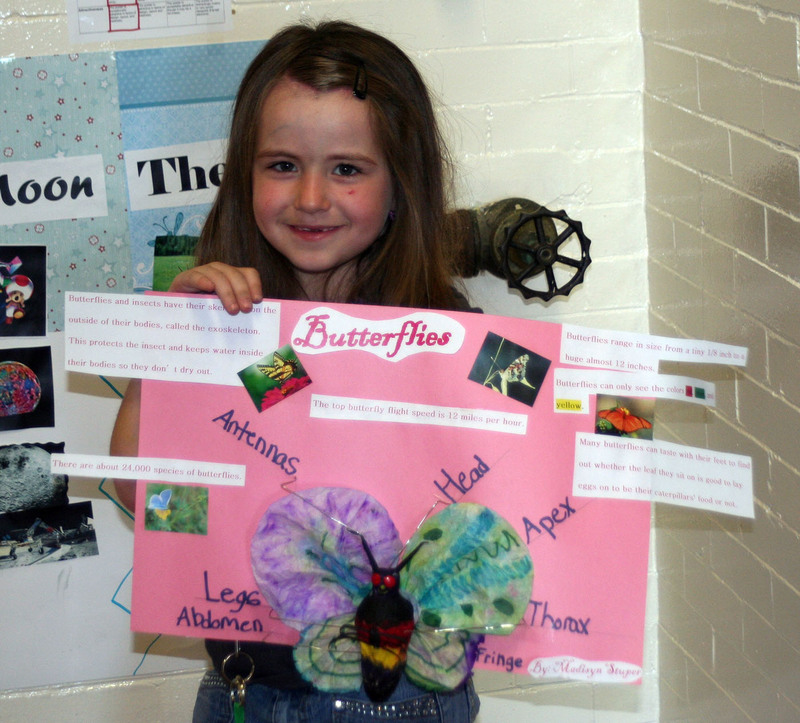 Madisyn Stuper, a student in Robyn Yorker’s class at the Oswego County BOCES Stepping Stones Day Program shows off the life-like replica of a butterfly that she created during a classroom project. The project was the culmination of an instructional unit about insects where the students learned how to identify an invertebrate’s major body parts and explore how the invertebrates eat, breathe, and see. Students in Robyn Yorker’s class at the Stepping Stones Day Program at Oswego County BOCES just capped off an instructional unit on insects. 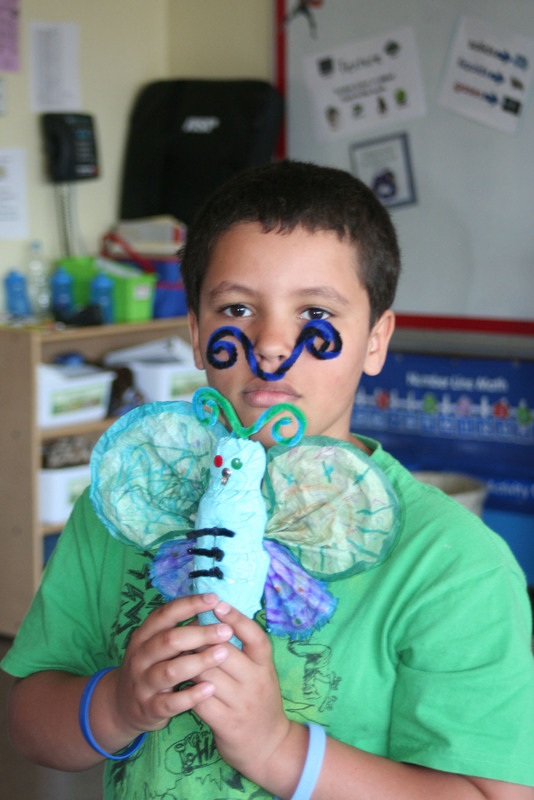 Oswego County BOCES Stepping Stones Day Program student Kairo Corniell is pictured with a detailed replica of a butterfly that he created as part of a classroom project about bugs. Kairo and his classmates in Robyn Yorker’s class have been busy learning all about insects – how insects eat, breathe, and see and also their major body parts. The unit included a variety of ELA and science-based lessons involving information about insects: how they eat, how they breathe, and how the see. Also utilized during the unit was an interactive “Flipped Video” instruction for the students to explore hands-on and face-to-face with their teacher and peers. Students in the class created life-like insect models as a culminating project. The students’ replicas identified three major body parts that they learned about in the unit – the head, the thorax, and the abdomen.